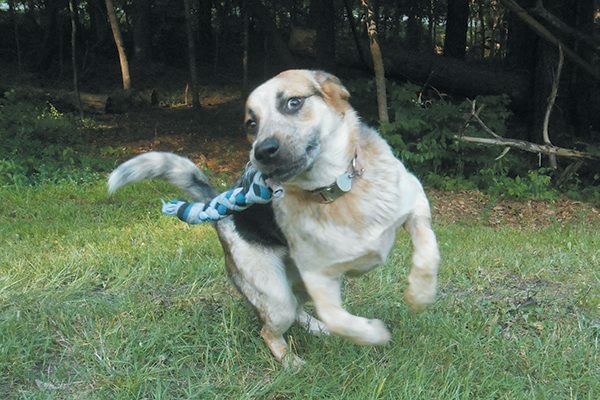 Jeffrey Welch's Blog: Does Your Energetic Dog Have a Case of Frapping or Dog Zoomies? Does Your Energetic Dog Have a Case of Frapping or Dog Zoomies? 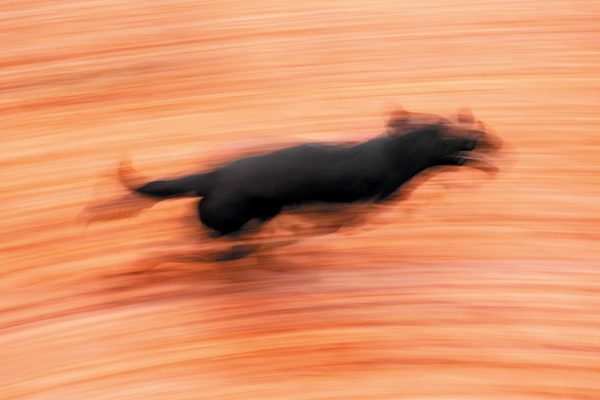 The post Does Your Energetic Dog Have a Case of Frapping or Dog Zoomies? by Melvin Peña appeared first on Dogster. Copying over entire articles infringes on copyright laws. You may not be aware of it, but all of these articles were assigned, contracted and paid for, so they aren’t considered public domain. However, we appreciate that you like the article and would love it if you continued sharing just the first paragraph of an article, then linking out to the rest of the piece on Dogster.com. My dog, Baby, is a Bluetick Coonhound mix, and while she’s nearly 5 years old, she’s lost none of her puppy energy. Several times a week we go for a 3-mile hike. I may be worn out by the time we get home, but that’s exactly the moment she wants to start wrestling or roughhousing. When I refuse, she’ll either flop around on the ground or do a series of wind sprints around the yard. Dog owners know these abrupt physical responses as “frapping” or getting a case of the “zoomies.” I can tell you that “frapping” has nothing to do with blended coffee drinks, and “zoomies” are not drugs from 1960s science fiction. So what are they? FRAP stands for Frenetic Random Activity Period. Photography ©vectorarts | Getty Images. “Frapping” is not a scientific term, nor is it particularly accurate. If a dog reliably dashes around after bathing or exercise, there’s nothing random about it! No matter what you call it, why does it happen? Why do dogs start frapping or get the zoomies? Let’s take the most common scenarios and work through them together. Why do dogs run around the house? 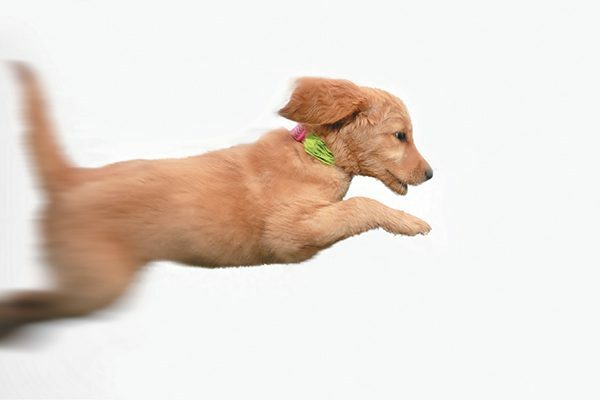 Your dog might have the zoomies because she needs to roam free after being kept in. Photography ©Maciej Bledowski | Getty Images. The average dog sleeps 12 to 14 hours a day, which most of us will agree sounds awesome. The rest of the time, dogs are creatures of curiosity and movement. We train them to submit to and abide by every kind of restrictive boundary, ranging in square footage from a crate to the living room, all the way up to a fenced-in yard. No matter how much room we give them, a dog always wants more. Whether you call it “zoomies” or “frapping,” these bursts of energy are, in part, a response to confinement. We get frustrated when our dogs zip about the house and knock a valuable item onto the floor, but imagine how dogs feel being unable to truly stretch out their legs! Why does frapping happen after a bath? Bathing needs vary by dog, but conventional wisdom tells us that dogs should get a bath once every four to six weeks. Baby enjoys a bath about as well as being confined: She tolerates it. A dog’s natural grooming habits condition their skin and help distribute healthy skin oils. We’ve all been caught in a storm without an umbrella and felt weighed down by wet clothes. Bathing is a similar experience for dogs, combined with the unusual scents of soaps and shampoos. Dogs roll on the ground or take to other frapping behaviors after a bath as a reaction to physical discomfort. Why do dogs get the zoomies after a walk? A dog that gets the zoomies as soon as you get home is expressing frustration. Photography Courtesy Melvin Peña. I started with Baby wanting to wrestle or run at the end of our normal hike together. No matter how fast we walk our dogs, we can never match their energy or speed. Like living indoors or being bathed, the pace we move at is strange and unnatural for any but the smallest dog. A dog that gets the zoomies or starts frapping as soon as you get home is expressing frustration. Baby knows our hiking route so well, she now fraps in anticipation. The second she realizes we’re headed home, she’ll flop over and refuse to move at all! “Random” might be part of “FRAP,” but the conditions that inspire frapping in dogs are entirely predictable. Even the best-trained dogs may have a period of frenetic activity on occasion. If the collection of porcelain figurines you inherited from your grandma loses a member every time your dog has a bath, it’s not your dog’s fault! Thumbnail: Photography ©YinYang | Getty Images.